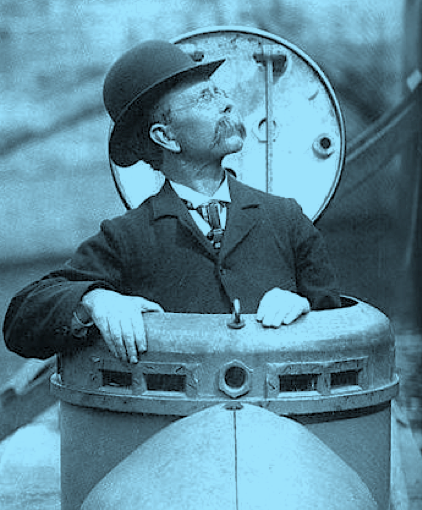 John Philip Holland born Liscannor, County Clare, 1840, developed the first submarine commissioned by the U.S. Navy and the first Royal Navy Submarine. There has never been a more exciting time for Ireland to harness its vast Ocean territory and its opportunity to create an Innovation Cluster of new high-technology marine companies crafted in Irish waters and experience hardened to tackle global challenges. But bringing Ocean Innovation to a global market is a challenging task, balanced between an art and a science, between optimism and pragmatism, between dream and reality. Nua Venture partners with exceptional companies & state organizations as they navigate from protected shallows of innovation incubation to the depths and frontiers of global reach. Nua Venture is a founding member of SmartBay Ireland. Nua Venture created the first ever SmartOcean Innovation Exchange bringing together Ireland’s most innovative SMEs, and major multinationals as part to the Volvo Ocean Race in Galway in July 2012.